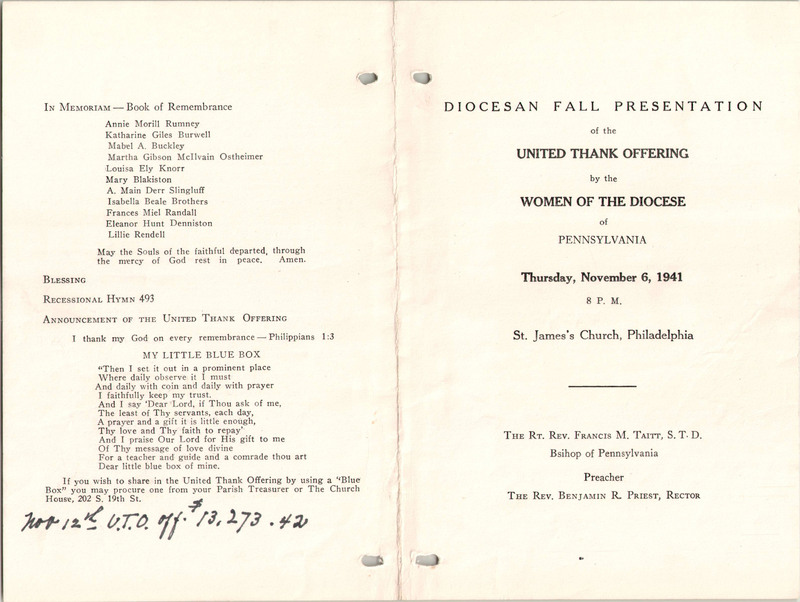 This entry was posted in St. James's Church (Philadelphia) and tagged Benjamin R. Priest, Center City, Francis Marion Taitt, Rittenhouse Square, United Thank Offering, Women of the Diocese of Pennsylvania on November 17, 2015 by mjk38. 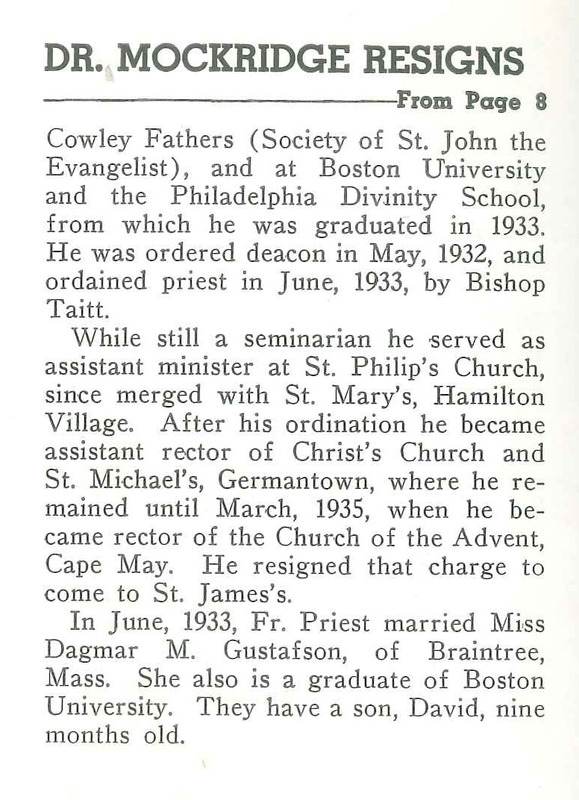 This entry was posted in Christ Church and St. Michael's (Germantown) and tagged Benjamin R. Priest, Francis Marion Taitt, Germantown, Northwest Philadelphia on January 4, 2015 by mjk38. 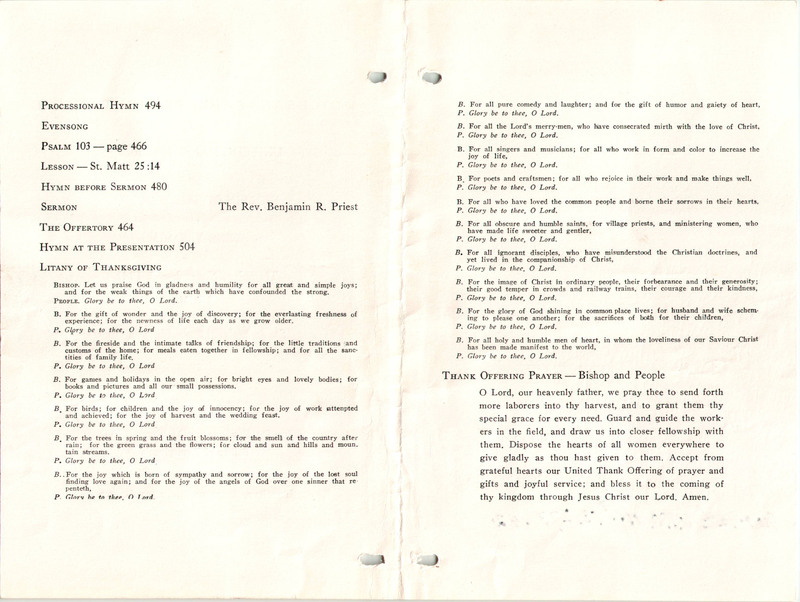 This entry was posted in St. James's Church (Philadelphia) and tagged Anglo-Catholic Parishes, Benjamin R. Priest, Church News of the Diocese of Pennsylvania, John C. H. Mockridge on December 15, 2014 by mjk38. This entry was posted in St. James's Church (Philadelphia) and tagged Benjamin R. Priest, Center City, Church News of the Diocese of Pennsylvania, Rittenhouse Square on September 8, 2014 by mjk38.